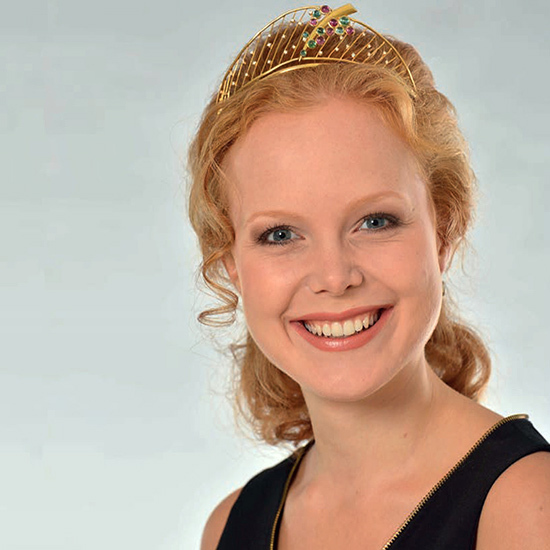 All hail Nadine Poss, the 65th German Wine Queen! All hail Nadine Poss, the 65th German Wine Queen! As tradition dictates, Poss comes from a winemaking family—hers is in the Nahe region—and she knows her wines. That’s good because, sadly, the life of a German wine queen isn’t filled with vine thrones or wine-toting servants (though there are two wine princesses who serve with her). Instead, Poss visits trade fairs, pours wines and travels around the world spreading the good word about German wines. Right now, she’s focusing on Riesling. After all, it is the Summer of Riesling. Here, her highness’s three favorite bottles to drink now.